It's been awhile since I visited any of Teriyaki Boy's branches. 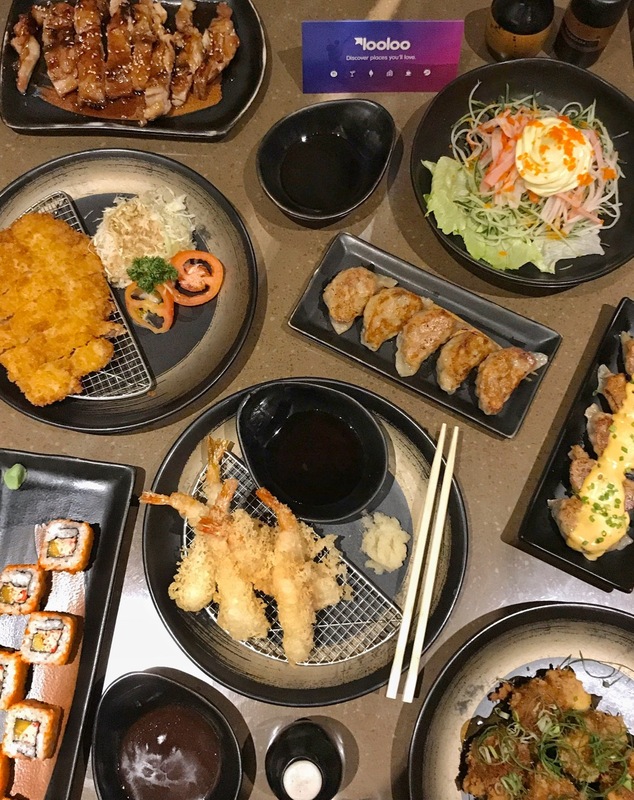 But this year, my friend reintroduced me to this Japanese restaurant, and we've been coming back for around 3-4 times in the past few months. And even if we've been to Teriyaki Boy more often than we've been to other restaurants, a part of me still gets excited about our return, and about what I am going to order next. Last thursday night, we were lucky enough to have been invited to a looloo rendezvoos with the recently revamped Teriyaki Boy. Their gyoza had a nice crisp on the outside, and was juicy on the inside. 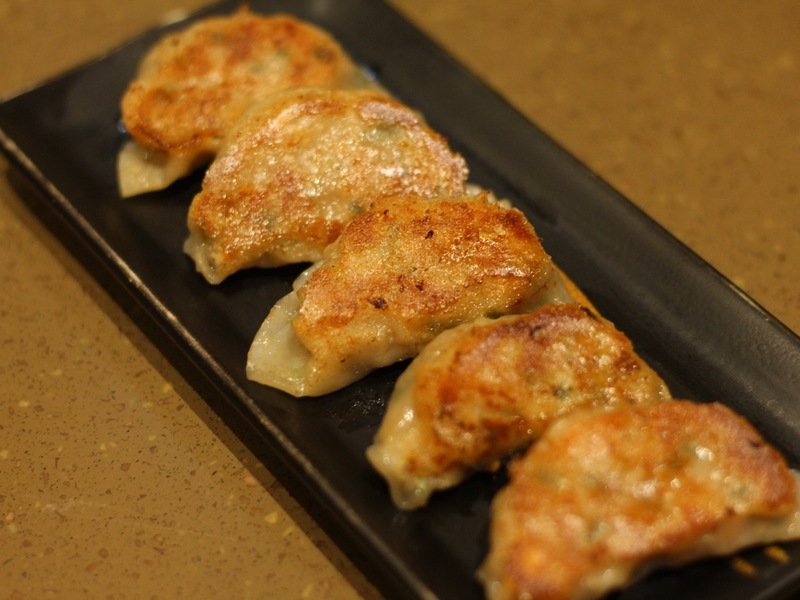 The cheesy gyoza is something I've already tried this year. If you love cheese like I do, then this is a good go-to appetizer for you. 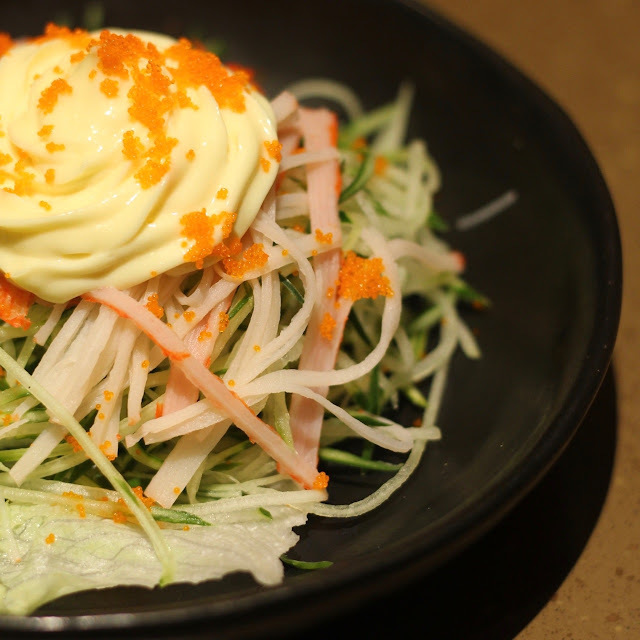 The kani salad is a really simple salad with lettuce, shreds of kani and cucumbers topped with mayo. It wasn't so bad given that I love eating cucumbers. The Philly Cheese Steak is one of the most recent dish I've tried in Teriyaki Boy even before this rendezvoos, and I really loved them because it's different, and of course, since it's topped with torched cheese. Oh they also give out a special dip with it when served, which I enjoyed using. 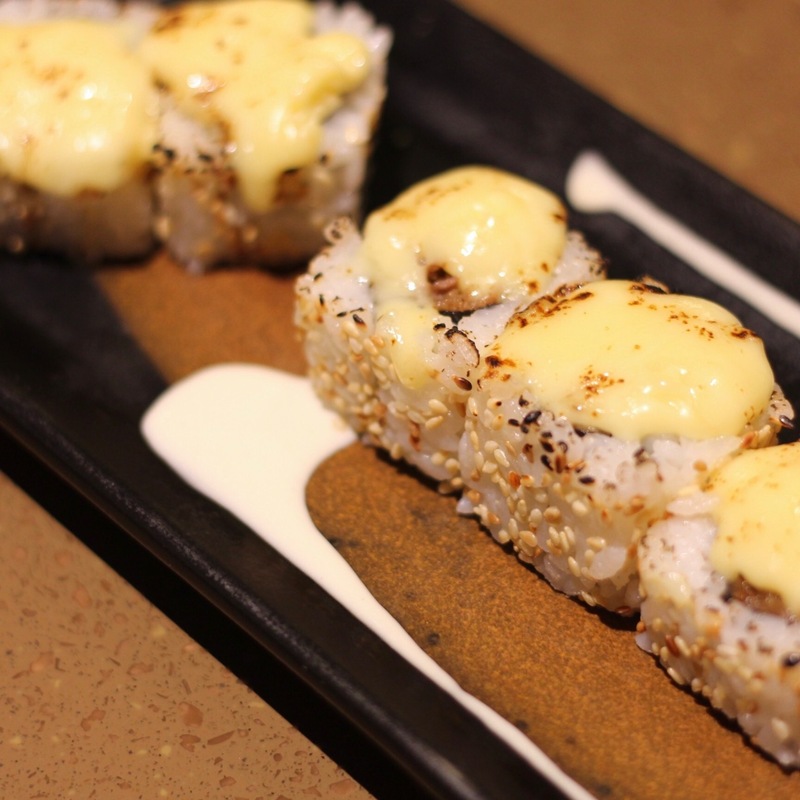 If you're looking for something with a little kick, then try their dynamite rolls. 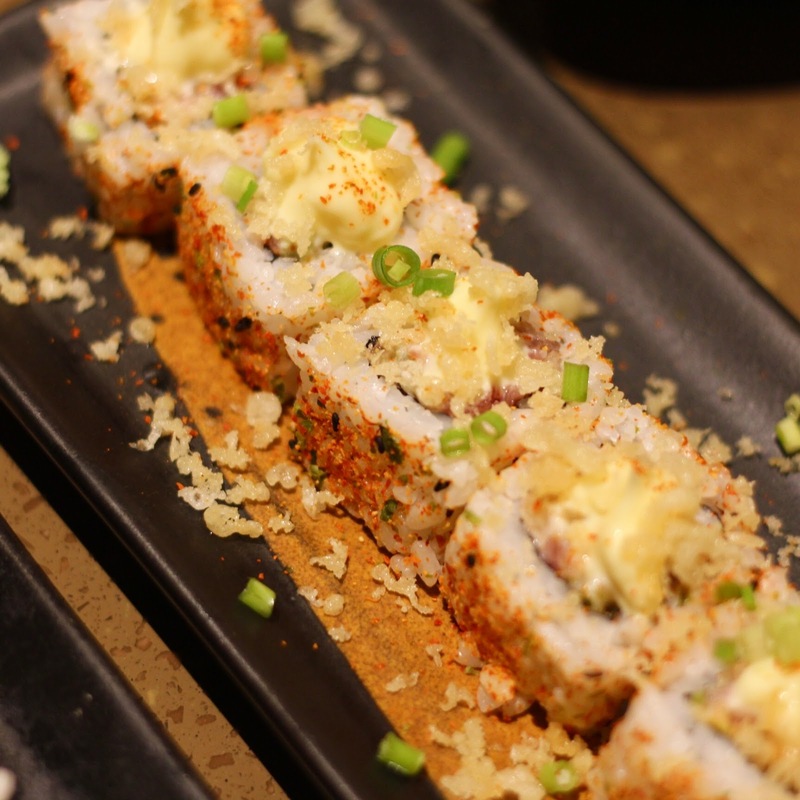 It's a roll with tuna, topped with crunchy tempura bits and coated on the outside with togarashi spice. 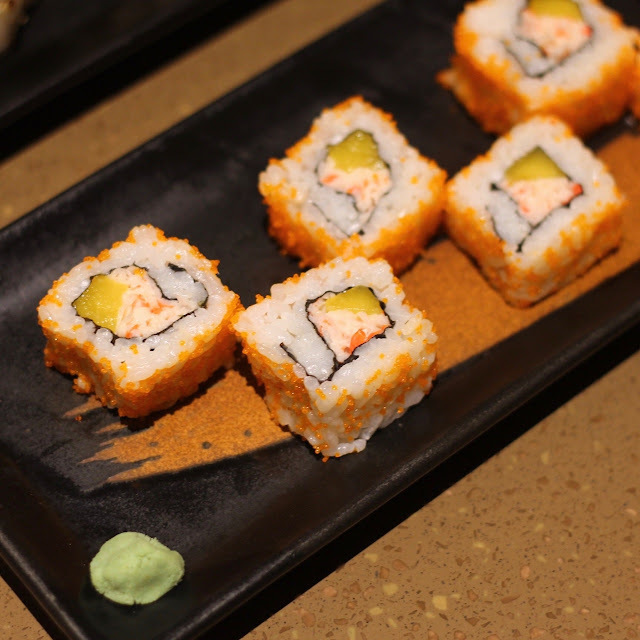 Classic Japanese kani maki made with Japanese vinegared rice, kani strips in light mayo, mango, nori, and fish roe. One of my favorites! Stir fried, tender, sweet and salty beef slices with teppanyaki and onion slices. This is the kind of dish you'd eat with lots of rice. Bye diet! 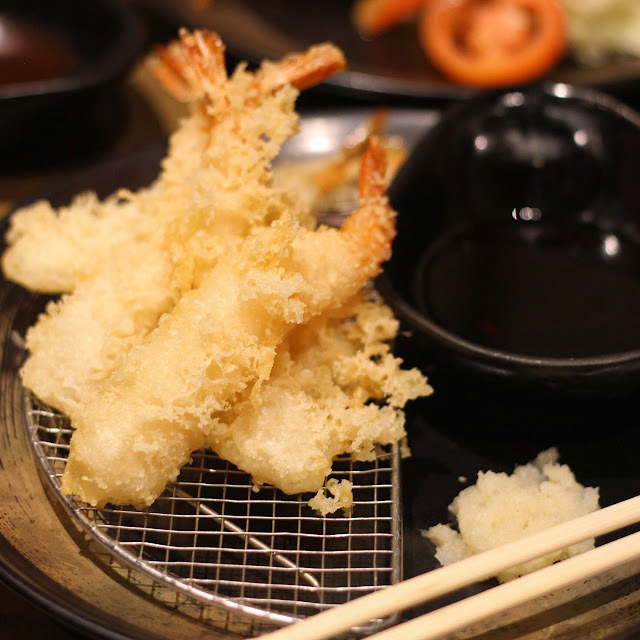 Golden-fried ebi coated in light tempura batter. What I liked about the dish was its really light but crispy batter, plus the fact that the ebi was cooked perfectly (not overcooked), and was just the right size. 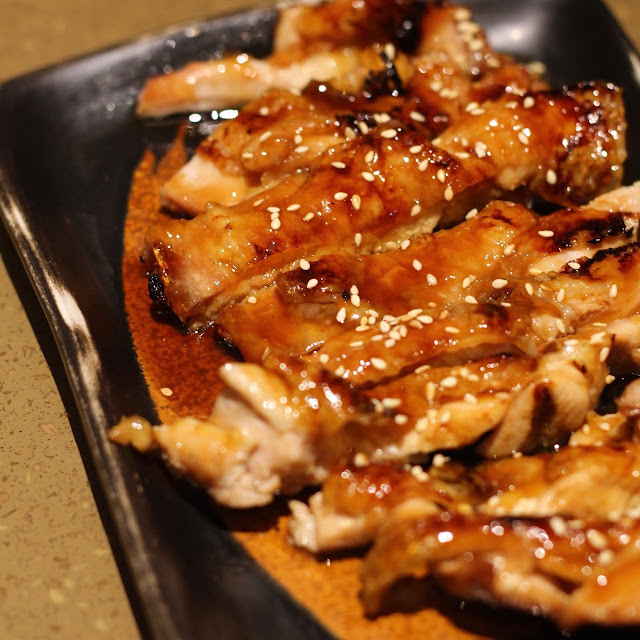 Anyone who has tried Teriyaki Boy should have tried their best selling Teriyaki Chicken, I mean, it's a must. Of course, I've tried it before but didn't really think of it as anything more than a teriyaki dish. I always remove the chicken skin in any of the chicken dishes I eat, but on this night, I decided to leave it on (since I heard from someone from our group that it tasted heavenly), and it made such a huge difference. 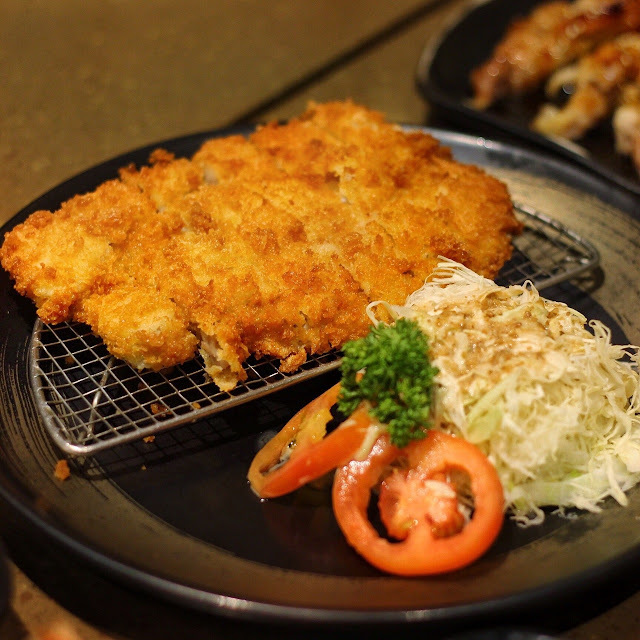 The tonktasu was great considering that it's more affordable and delicious compared to other katsu places. An order comes with shredded cabbage with roasted sesame dressing. The tofu steak that we tried was the revamped version, with beef belly wrapped around the tofu, replacing the ground pork from their previous recipe. It's great, especially since I loved the beef belly teppanyaki (which is the same beef they used to wrap the tofu), although I think the highlight of the dish is no longer the tofu (when it should have been, since it is a tofu steak). Nevertheless, I really enjoyed it. 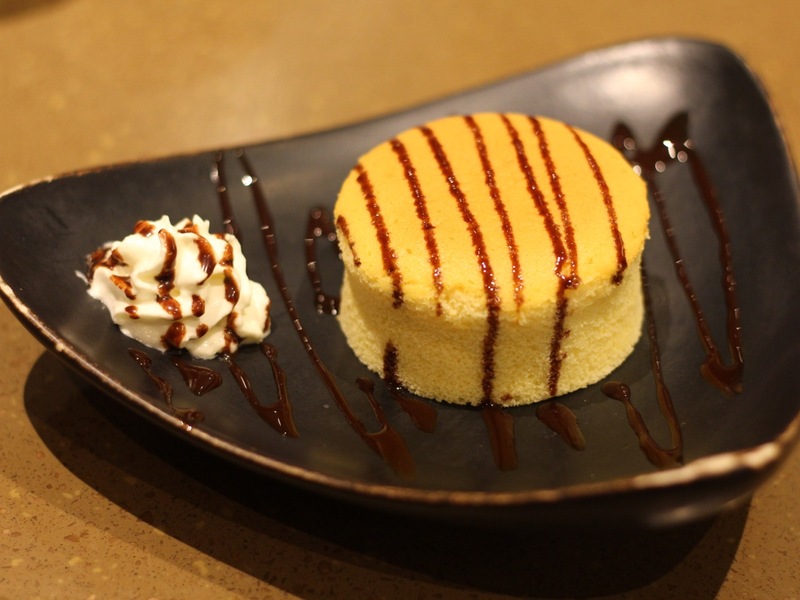 Teriyaki Boy's Japanese cheesecake was soft, moist, and fluffy, but more importantly, it wasn't airy, and the sharp taste of the cheese was very prominent. I was really surprised with the cheesecake, and I think it's something I will definitely crave for in the coming days. 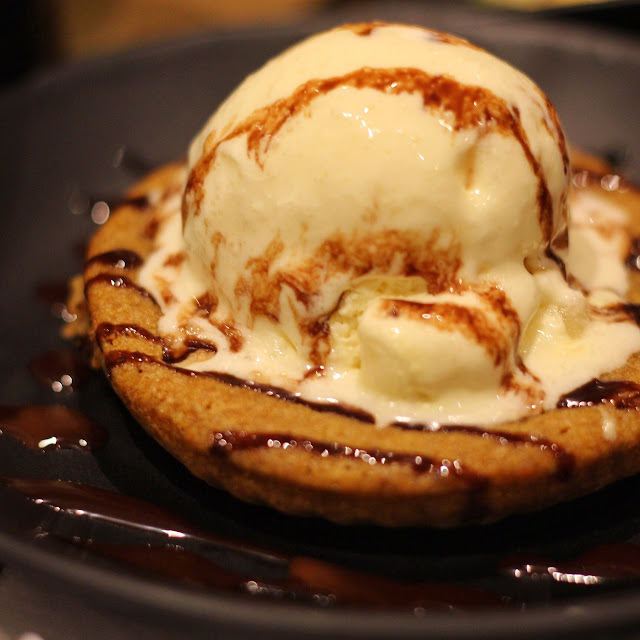 Green tea cookie topped with vanilla ice cream and drizzled with chocolate syrup. 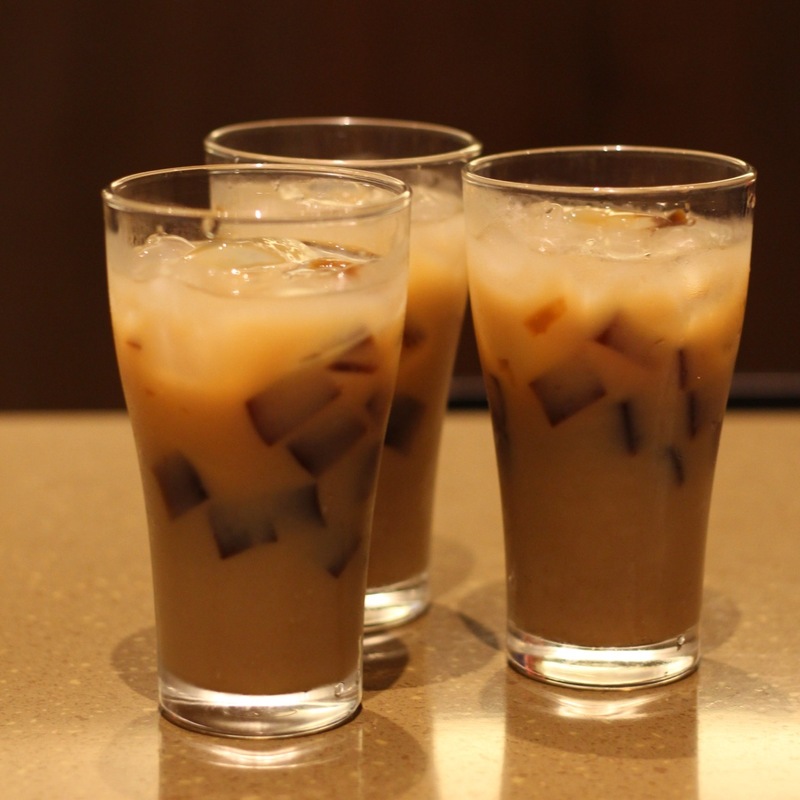 This is perfect for people who enjoy eating super sweet desserts. 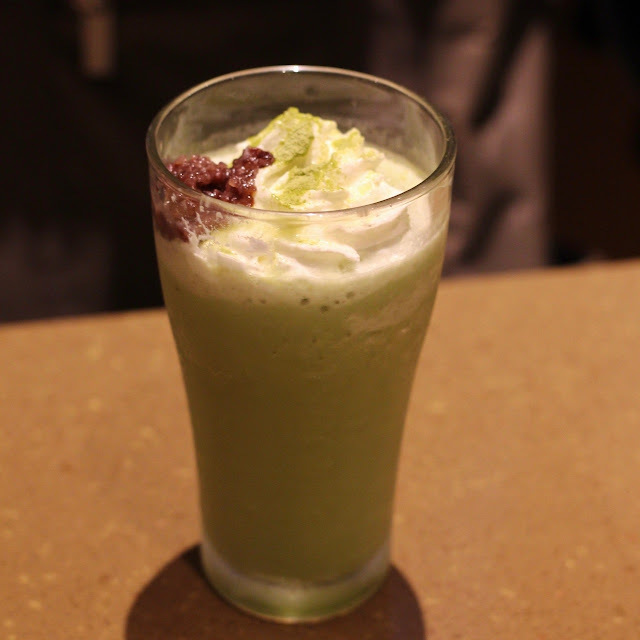 But if you're ordering it because of the green tea, then you might get disappointed, as you'll have to really really savor each bite just to get a tiny taste of the green tea. I was able to appreciate the green tea milkshake. It wasn't too sweet, and I can really taste the slightly bitter after-taste from the green tea. I'm also into red beans, so this milkshake is definitely for me. Click here to check out more reviews from looloo!